We have mentioned in the past, that if you look at the history of the EF mount, you'll see that Canon moves quickly when they want to. During the first 4 years of the EF mount, Canon rolled out 33 lenses; 19 zooms and 14 primes. So when we see very credible leaks on the RF mount and 5 new lenses coming out, this is to be expected. Canon will move quickly to build out it's RF mount lens collection because they know. Lenses sell cameras when you are trying to sell professional camera bodies. What I find more encouraging about the lenses coming out shortly is not the 2.8L IS USM or even the 85mm 1.2L USM. Those were predicted and pretty obvious lenses that Canon would create. They are absolutely necessary for the professional market. What I found interesting, was the consumer 24-240mm, making a strong signal that Canon will still cater to both the professional market and also the consumer market as well. In Canon's latest financials and also the interview with Canon's President, you were left with a feeling that Canon will simply focus on the professional, and let the rest of the potential market suffer. The problem with this, of course, is the size, weight, and cost of these lenses, not everyone wants to start off with a huge investment in lenses all at once. Having lower cost RF lenses help people buy into the system, and grow over time. Secondly, those that travel frequently may not want to travel with a full 2.8L kit. Airlines are getting more and more aggressive about weighing and restricting carry on baggage by weight. Each pound that you have to bring on your carry on luggage is now extremely important. Canon will have the 24-240, 24-105 and the 35mm as low cost, lighter and smaller options for your EOS R cameras, and we hope Canon will continue to grow this important segment over time. The EOS RP will send shockwaves through the industry, as Canon will completely disrupt what was the 2K "new normal entry level" price for mirrorless full frame. Canon has spent millions on factory automation, which mirrorless cameras are ideally suited for. They are also the masters of their own domain when it comes to sensor manufacturing, able to create sensors for their own cameras and keep the costs as low as possible. The combination of the two; factory automation and in house manufacturing of Canon sensors allow Canon to aggressively market this camera. While the price of around 1300 may not be what happens at release, it's certainly a high probability that the EOS RP will be by far the cheapest new full frame camera you can buy. If rumors are also correct, it may be the lightest, and possibly one of the smallest as well. It will be interesting to see how well this is received by the market, and how well it sells. Consider that the Sony A7 is still being sold by Sony as their "old/entry/we produced too many of these" cameras for around $1,000 currently, however, they don't seem to be selling that well. What is selling well for Sony is their $2000, A7III. This seems to indicate that it's not just price, but it's the combination of price and performance that is leading the way for Sony right now. There is a certain stigma for buying something that is "a 4 year old model" versus buying something that is new, that may be working against Sony here though. Canon is looking to claim some of the magic that happened with the M50 in the EOS-M lineup, with the new EOS RP in the EOS-RF lineup. 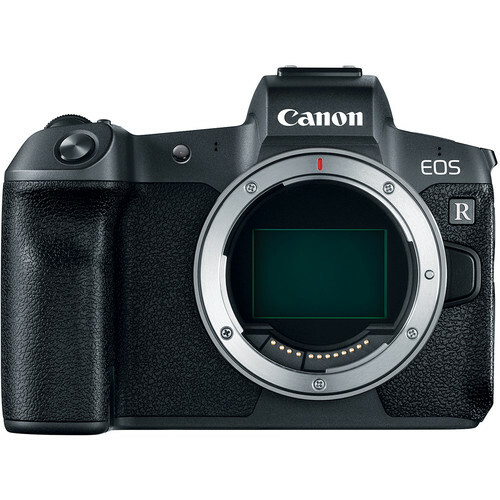 However, Canon releasing an ultra-cheap EOS RF mount camera may fall upon deaf ears in the marketplace especially if Sony is a good a comparison. Late August and early September was a pretty fun time to be running this website, and it looks like the next 10 days is going to be pretty exciting.